18cm Santoku knife is a hallmark and topliner of this immaculate knife set. It will become an excellent cutting tool for dressing meat or splitting fish as well as filleting. A peeling knife has a rather narrow handle which might fit hand poorly. Revolutionary Global Knives set is a manifestation of cutting design perfection. Inspired by old Samurai traditions, Komin Yamadi, Japanese designer, created unrivalled knives using the best materials and the latest manufacturing techniques. Enjoy the high art of knife making! A knife set contains a carving fork that will come in handy when you need to carve a turkey, chicken, ham hock or simply cut a big slab of meat to prevent meat sliding on a plate or dish. A wooden stand is not water-resistant. Richardson Sheffield is a renowned company that has been manufacturing knives for over two hundred years and managed to implement its experience and proficiency in this gorgeous knife set. Best-ever knives for both skilled cooks and amateurs! The ergonomic knife block is weighty enough to hold the knives securely in place and avoid their overturning. The handles material takes too long to dry. The VonShef set includes all the best knives that you may need for daily use. With this quality set of kitchen knives, there won't be any task you won't be able to cope with. Available in 3 different designs. With a razor-sharp 20-cm slicing knife, you can get ideally thin and even slices of ham, cheese, bacon and jerked meat for a beautiful plateau of meat or make unforgettable salmon or beef carpaccio. The knives stand close to each other in a stand. Are you dreaming of becoming a real chef and looking for your first professional knife set? 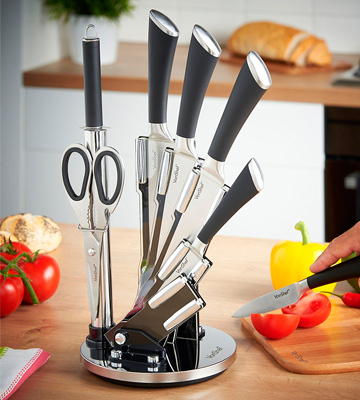 This multifunctional knife set from Morphy Richards is a decent option to tailor your culinary skills to perfection and add a professional touch to your creative recipes. All knives are forged with sharpness and feature a non-stick coating to ensure impressive performance characteristics. Sharp, practical, and beautiful knives for easy and precise cutting. With all 5 knives in, the block isn't as stable. Are you a fan of colourful kitchen accessories? 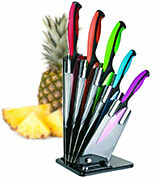 Then this all-in-one multi-coloured knife set is what you need. It will not only become a fancy accent to your kitchen arsenal but also your best assistant in cooking exquisite and palatable meals. No need to say that Japanese cutlery is renowned worldwide for the sharpest knives of first-class steel with sublime cutting features. Global Knife set was also created by Komin Yamadi, Japanese designer, searching for a unique combination of old Japanese knife smiths' techniques and a modern, sleek and delicate shape. And we can't but agree that he succeeded and developed a revolutionary knife design in keeping with the best knife making traditions that still largely differs from the majority of knives presented on the market. One-piece forged prolonged handles are exceptionally balanced for a convenient and secure grip while ideally crafted oriental style razor-sharp blades with rounded tips provide for effortless and controlled cutting any ingredients. An immaculate 20-cm chef knife will become your reliable kitchen companion for the toughest cutting tasks such as dressing meat of filleting fish. Knives blades are made of premium quality stainless steel and ice tempered to remain sharp longer and resist stains and corrosion. Notably, this truly gorgeous knife set was highly appreciated not only by amateur cooks but also by experienced chefs and well-known hosts of culinary shows. Global Knives are state-of-the-art cutting tools carefully designed to meet the most demanding requirements. Bring a piece of Japanese legacy to your kitchen for a precise cutting! Another cutting accessory that will fit as a fiddle to your knife set, adding to your cutlery arsenal is a swivel peeler. Peel and prepare your fruit and vegetables like a pro! Richardson Sheffield has been one of the leaders of global knife market since 1839 and today can offer almost two hundred-year experience in knife making. 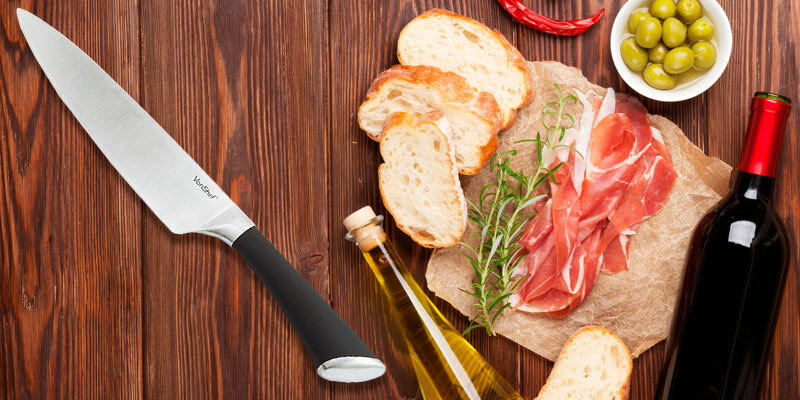 Many independent experts whose opinion is reckoned and highly appreciated in the culinary industry had nothing but praise for the V Sabatier knives owing to their top-notch well-thought design with attention to every tiny detail. 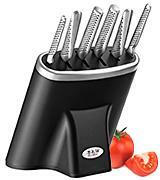 All in all, this knife set consists of 9 kitchen tools including a cook's knife for precise cutting, serrated bread knife for easy no-fuss cutting fresh home-made bread, carving knife and an all-purpose knife for a variety of cutting tasks. 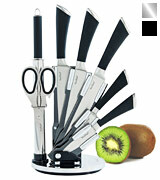 Actually, the V Sabatier set contains all the knives you might need on a day-to-day basis and even more. 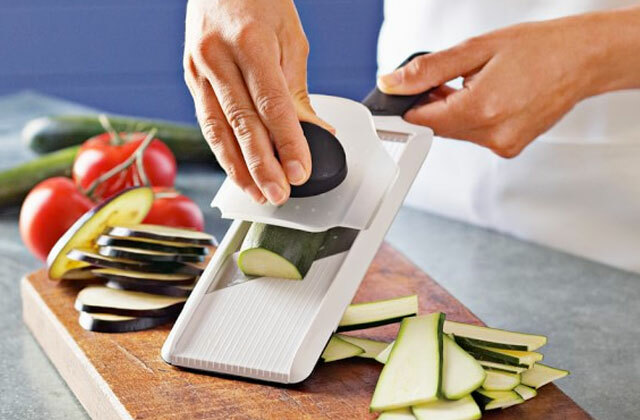 Thus, the sharpener will help you keep all your kitchen knives razor-sharp for efficient cutting, mincing, chopping and slicing. Additionally, a carving fork is ideal for carving a turkey, chicken or simply slicing fine cuts of meat for an appetising serve. Next thing that wouldn't go amiss is a strong full-tang handle with a soft-touch grip attached to the tang by means of three rivets. Such handle fixation is considered the most durable and efficient for secure blade retention. 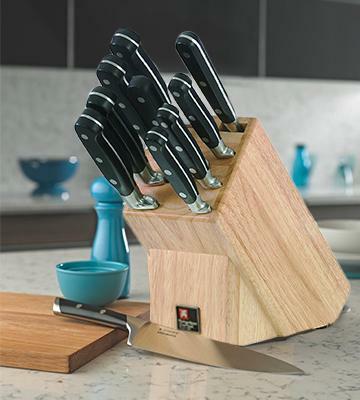 All knives are safely stored in a beautiful wooden block having a delicate aesthetic look and being a decent element of decor to your kitchen. This magnificent knife set from Richardson Sheffield will cover the whole range of cutting tasks enabling you to sharpen up your culinary skills and inspiring you to experiment with a myriad of ingredients! No cook's arsenal is complete without good cutting boards to finely cut hard and soft foods in a due manner. We highly recommend choosing the one that will suit your cutting needs best. It is not a secret that high-quality knives, as well as other kitchen utensils, are the key tools that guarantee excellent cooking results. The VonShef set comprises 7 items that professional Chefs usually use in their restaurants every day. Here you will find a Chef knife, carving knife, bread knife, utility knife, paring knife, scissors, and a knife sharpener. As you can see, the set offers a whole load of tools for many specific tasks. The included Chef knife is a true "chopping expert"; it is designed with a 20-cm blade that is sharp enough to cut through soft and tough food alike. It will come in handy for when you need to dress meat or fish, or chop herbs and vegetables. A carving knife will come in helpful for removing bones of fish and meat as well as making really thin and accurate slices. A bread knife should be used for cutting bread; it will easily run through the freshest loaf of bread, not making it crumble. 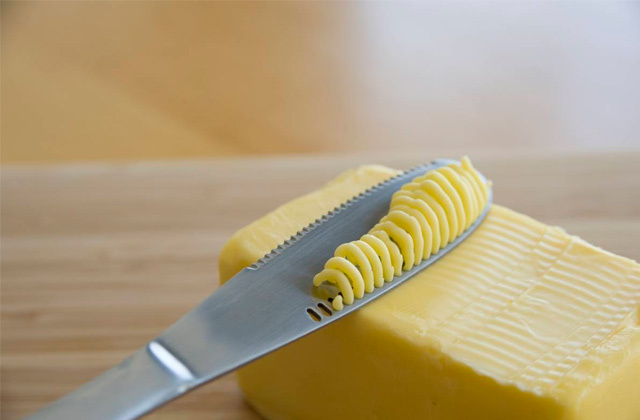 Fitted with the shortest blades, utility and paring knives are designed for peeling fruit and vegetables, slicing cheese or sausages, and completing many other day-to-day cooking tasks. On purchasing the VonShef Premium set you will also get a 19-cm sharpener to maintain the sharpness of the blades as well as a stylish revolving block to keep the knives at hand. The block is pretty heavy, so you will not overturn it accidentally when cooking, for example. We also recommend you to consider a cooking thermometer as it will help you cook the best meals ever. 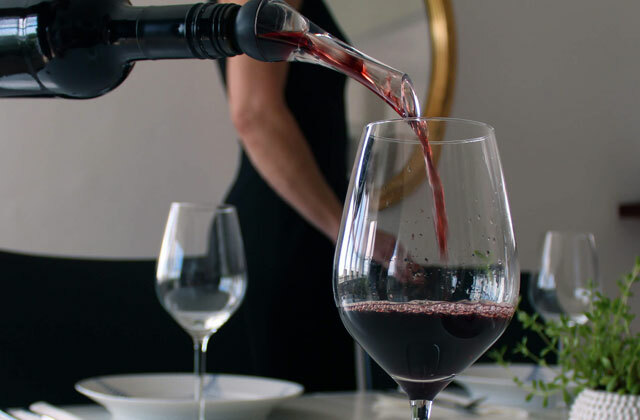 Using it you will be able to check the doneness of your meal even without opening the oven. Prime quality is a result of intelligent efforts. And it is absolutely true when it comes to Morphy Richards. A sleek and contemporary 5-piece knife set in a spectacular curved block will become an appropriate addition to your culinary accessories. A one-piece forged design of high-grade stainless steel ensures not only an aesthetic look that radiates excellence but also a perfect balance for easy use, maximum control, accurate cutting, and high-quality results. 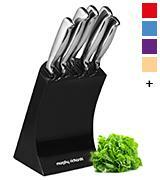 The set of five knives with finely sharpened blades is ideal for every recipe and every meal. A paring knife and utility knife allow mincing and slicing any fruits and vegs from garlic to apples and oranges. 20 cm chef knife is commonly used for the majority of culinary tasks while a slicing knife is suitable for carving and slicing cooked meat to professional slices. 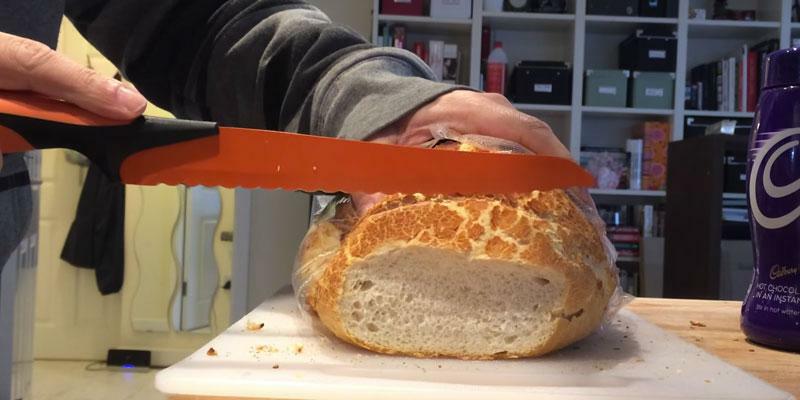 Besides, thanks to the serrated blade, 20cm bread knife will cope not only with slicing fresh soft bread or baguette but also with hard rind fruit. 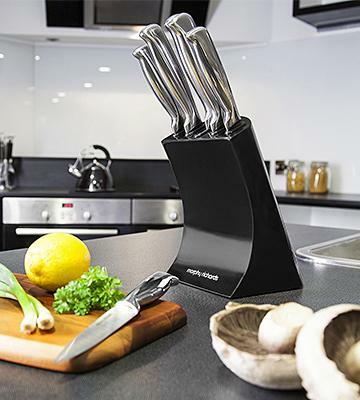 An elegant shape and sleek style of the Morphy Richards Knife Block will enhance a professional design of any modern kitchen. Meanwhile, the razor-sharp knives will perform the whole array of duties adding a professional touch to your meals and allowing you to tailor your recipes to high-quality cuisine standards. 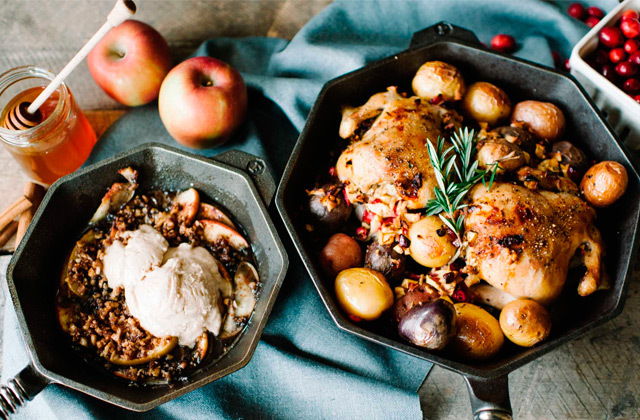 Give yourself a freedom to cook with ease, comfort, pleasure and inspiration! 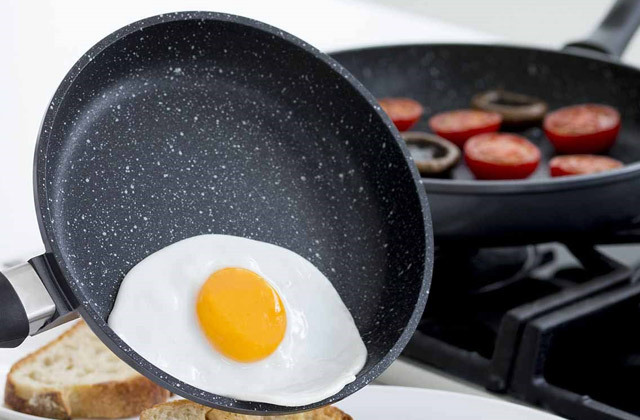 If you are an enthusiastic home cook aspiring to become a pro, a premium kitchenware is the first step on your way to proficiency. While a good set of knives is essential for appropriate ingredients preparation and food serving, a top-quality cookware set is a key to a scrumptious taste of your meals. 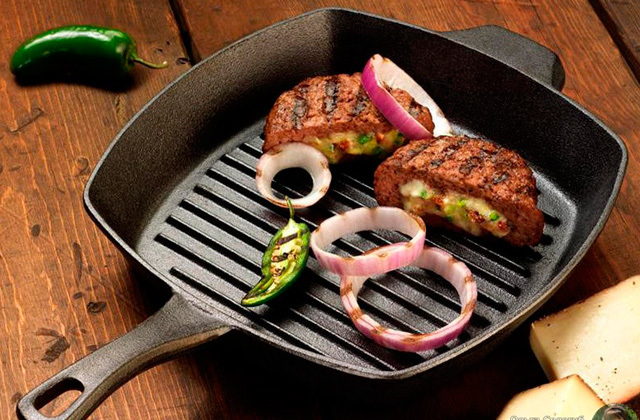 Usually, cookware sets contain several pans and skillets for boiling, roasting, stewing and even steaming. Are you a fan of bright and vivid items and accessories? Then you will definitely relish a multi-coloured Taylor's Eye Witness knife set that will add a fancy twist to your kitchen. Along with vibrant bold colour design, this immaculate set offers unmatched performance and functionality. 5 knives come with incredibly sharp non-stick blades ensuring unrivalled cutting results and attractive look. All knives in the set including an all-purpose knife, chef knife, paring knife, bread knife and carving knife are carefully designed for a perfect balance, comfy grip and maximum control over every cut. As a result, you will get finely cut pieces of juicy fruit and vegetables without a single drop of juice on the cutting board, appetising slices of poultry, meat, ham, cheese or ideal slices of bread. 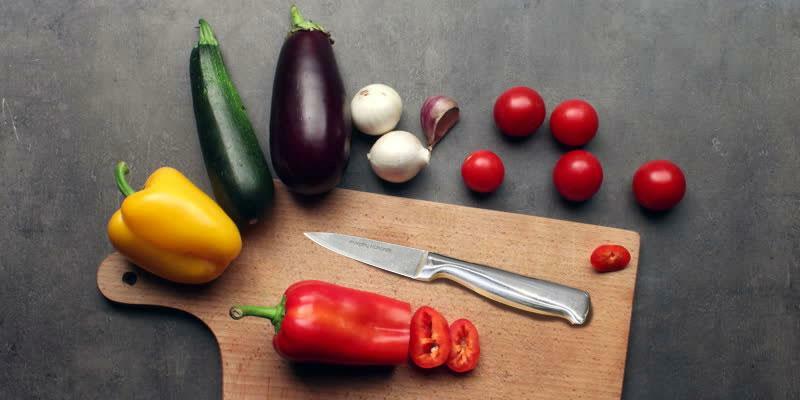 With unbelievably sharp Taylor's Eye knives, you can chop, mince, slice and cut any ingredients and they will retain their sharpness well despite being used every day. 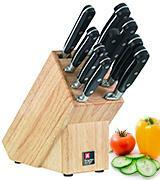 A sturdy acrylic stand with ergonomic clear holders offers a perfect knives display when not in use. 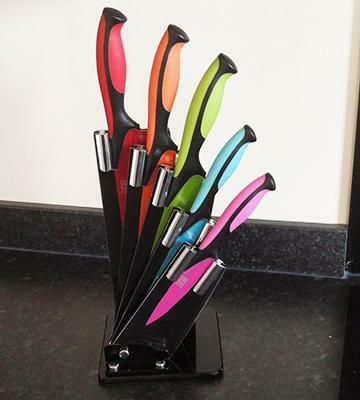 The colourful Taylor's Eye Witness knife set will brighten up even the most austere kitchen design and undoubtedly add functionality to your kitchen. It looks great and performs well allowing you to cook anything from a simple sandwich for lunch to exquisite stews and roasts for a festive dinner or party. Turn your ordinary meals to haute cuisine with the Taylor's Eye knives! 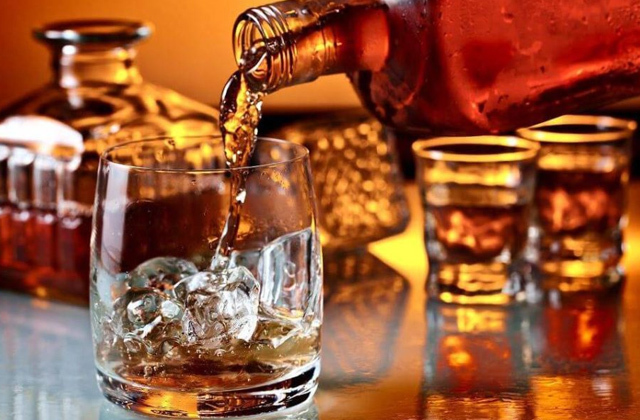 A cooking process is an integral part of our life. Some people perceive it as a routine, while others turn this process into the art. 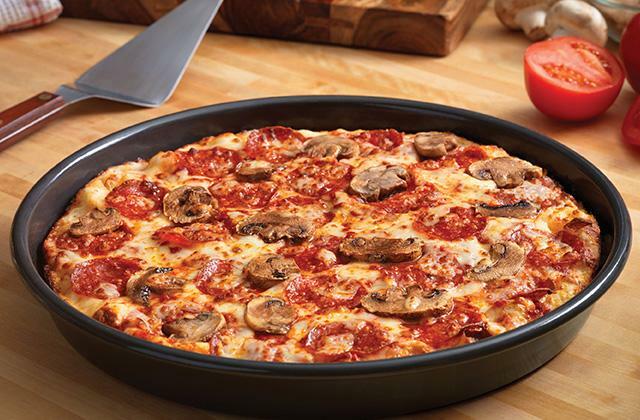 All in all, the main goal we all aim for is preparing tasty dishes. Here, appropriate knives are the key to success. Any Chef would tell you that the best knives are meant to speed up the cooking process and make it pleasant and effortless. It should be mentioned that opting for the set of knives is much more beneficial than purchasing each one separately. The reason for that is that the whole set costs less and includes knives of various shapes, length and they are designed for different purposes. Moreover, if you purchase forged stainless steel knives they would serve you for a long period of time. And finally, the knives designed in a similar style would surely decorate any kitchen! 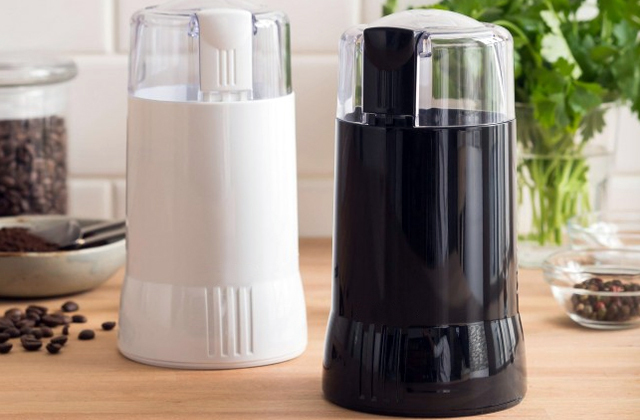 In order to keep knives sharp, you may want to consider using a special knife sharpener. While if you need to keep a small pocket knife on you, we'd recommend you to get yourself a handy multi-tool. Modern market offers a wide variety of knives that are meant for different purposes. So, before you opt for a knife set with a block, think about its functionality. They differ in the number of included items and may contain not only knives but also blocks, cutting boards, knife sharpeners, scissors etc. It goes without saying the more knives there come in a set, the more cooking jobs they will perform. The knives are available in a broad choice of sizes, shapes and blades. The right knives for your needs depend on the type of cooking you do. Generally, the best knife sets include an all-purpose utility knife, a chef's knife, a Santoku knife, a bread knife, a carving knife, a cheese knife, steak knives, paring knives, pizza knives etc. All the items mentioned above will become a helping hand for every cook and guarantee excellent slicing, chopping or mincing. The most important feature that impacts knife's durability is its design. So, a knife consists of 2 main parts: a blade and a handle. Modern knives are mainly made of stainless steel, high-carbon stainless steel, and ceramic. Stainless steel blades go blunt rather quickly and require sharpening every now and then. For the contrast, the high-carbon stainless steel knives are literally the best option. Less carbon content makes such knives harder and ensures a sharper edge for a longer time. The high-carbon stainless steel blades won't rust! The ceramic knives tend to be extra sharp and hold its sharpness for a long time. But, the key drawback is that this type is rather fragile. Moreover, depending on a handle design, knives fall into one-piece forged or tang models. One-piece forged knives are more expensive and durable, as both the blade and the handle are forged as a one-piece item from a hunk of metal. In a tang design, the handle is attached to the tang that is an extension of a knife blade. A handle's material is also a crucial aspect. 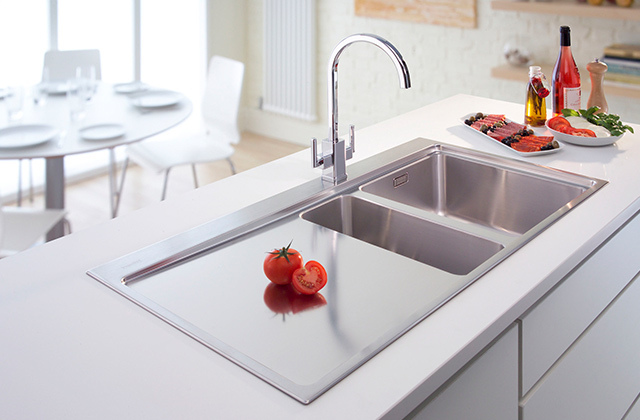 Stainless steel handles are durable and look alluringly but a knife may slip out of your hands if they are wet. The models with plastic handles are grippy, non-slip and durable. 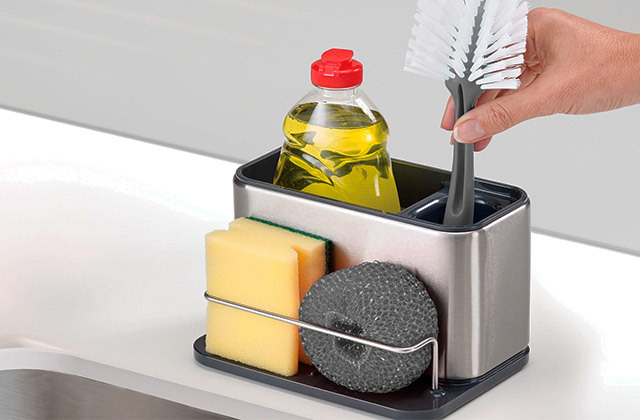 Thus, plastic handles are easy in maintenance but less hygienic than stainless steel ones. You should also know that knives differ in the way a handle is fixed to the blade. There are one-piece forged handles (one-piece knife), partial-tang (a handle is slipped over a tang) and full-tang (clutch a steel that runs to the very end of the handle affixed with several rivets to a handle). It's rather important to opt for a knife set that will work well for you. Remember, that the knives should be kept clean to prevent plaque formation! 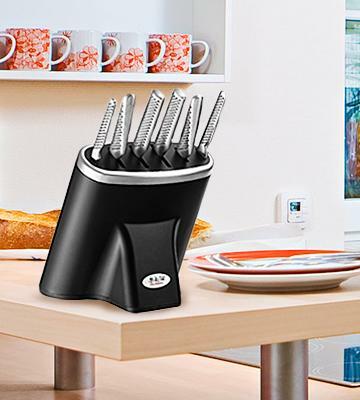 For safety's sake, the knives should always be stored in a block or on a magnetic strip. It is up to you to choose whether you want a cabinet-type or a wall-mounted holder. They are both comfy if you store the knives properly. A cabinet-type block doesn't take much free-space at a countertop and all the knives are at hand. 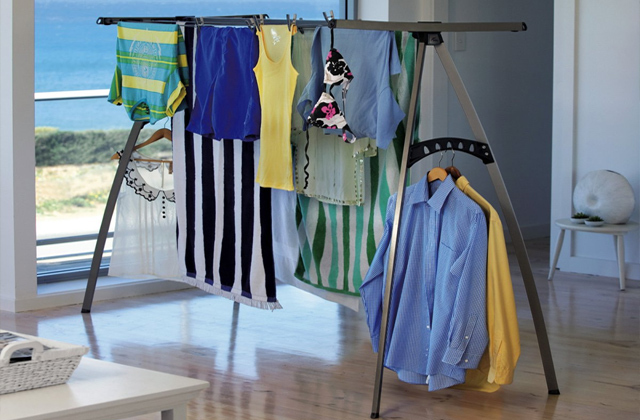 By contrast, the wall-mounted magnetic strips are real space-savers, especially for small kitchens. Thus, they require installation. Before purchasing a knife set with a block, consider the material it is made of. Wooden models are durable and firm. They'd become a decoration to any kitchen. On the other hand, plastic blocks are not so eye-catching as wooden models, but they may be of a different colour and shape. A good basic kit would also include a knife sharpener to maintain knives sharp. As you can see, knives differ considerably from each other. 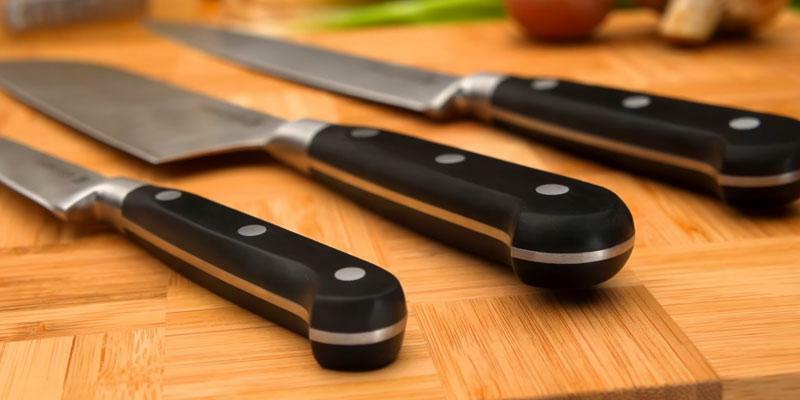 We hope that our review will help you choose the best kitchen knife set! 1. How to Select Quality Kitchen Knives, wikiHow. 2. Maryellen Driscoll How to Choose a Chef's Knife, Fine Cooking. 3. Knife, Wikipedia. November 21, 2016. 4. Knife Sets Buying Guide, eBay. March 10, 2016. 5. 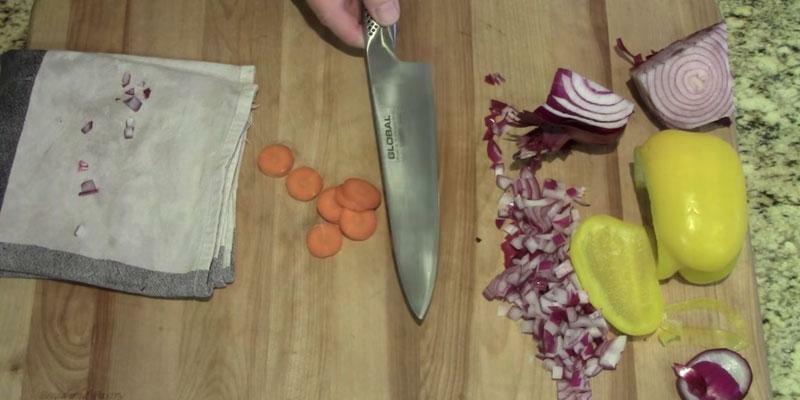 Dan Bergevin A Beginner's Guide to Buying Custom Kitchen Knives, Gizmodo. December 17, 2013.